AT HIGH REVS, THE ENGINE TRULY RIPS, CRANKING OUT THE CONVINCING PART OF ITS 492 HORSEPOWER AT THE OUTER EDGE OF THE SPIN CYCLE. IT’S A COLOSSAL SURGE, AN INEVITABLE BLOSSOMING OF POWER AND G’S AIDED BY THE RAM EFFECT OF THE AIR SWIRLING IN THE INTAKE MANIFOLD. 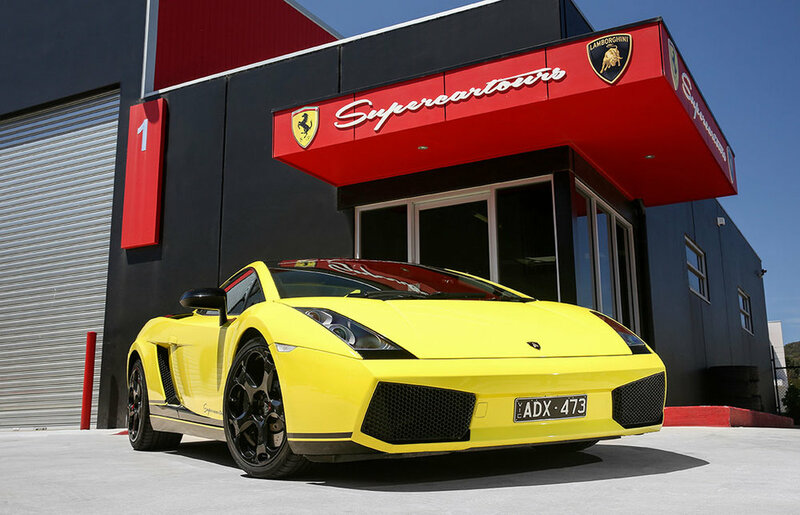 The first generation Gallardo came with a 5 liter 90 degree V10 (4961cc), based on Audi’s 4.2 Liter V8 developed by Cosworth.The Gallardo offers two choices of transmissions, a conventional (H-Box) six-speed manual transmission, and an advanced six-speed electro-hydraulically controlled semi-automatic robotized manual, which Lamborghini abbreviates to “E-gear”. The “E-gear” allows the driver to make shifts much faster than they could with a manual transmission. The driver shifts up and down via paddles behind the steering wheel, but can also change to an automatic mode. The vehicle was designed by Italdesign Giugiaro, which was based on the 1995 Calà prototype. For the MY2006 (launched in late 2005) Lamborghini introduced many changes to the car to counter some criticisms garnered from the press and owners. These were based on the limited edition Gallardo SE. The exhaust system was changed to a more sporty one (including a flap to make it quieter around town), the suspension was revised, a new steering rack was fitted, the engine power was increased by 20 bhp to a maximum of 520 metric horsepower (382 kW; 513 hp), and the biggest change was an overall lowering of the gearing, especially in 1st to 5th. The result was a much improved car; it handled and turned better, sounded better under full throttle and the extra power and lower gearing made an already fast car into a much faster one.